After a bit of research and in a way of forcing myself into a creative project as well, I’ve decided to create ‘The ABC of German Food’ a typography and photographic project where I research and create photographic pieces on two of my ‘favourite’ subjects, typography and food. For the next couple of weeks/months/howeverlongittakes I’ll be posting a new german dish, all the way from A to Z. So lets start with A! 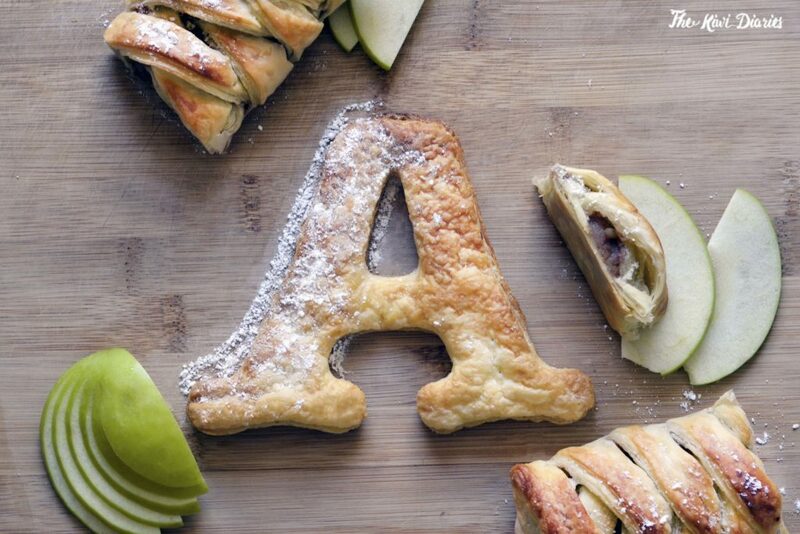 Even though some will argue that the Strudel is actually from Austria, the Apfel Strudel is a staple in any German household. The word is self, Strudel, derives from the Middle high german ‘Whirlpool.’ It consists of a piece of pastry, filled with a tart apple filling with cinnamon, breadcrumb and maybe raisins, nuts or rum (depending on the recipe) and rolled into a log and baked. Some say the first recipe ever recorded was found in 1696 at the Wiener Stadtbibliothek (State Library) and it was highly influenced with the Ottoman Empire’s cuisine, specially since the puff pastry typically used in the Turkish baklava was the base for the dish. A couple of years ago my own grandmother taught me how to make one. You can find the recipe here. ITC American Typewriter was designed by Joel Kaden and Tony Stan in 1974. It retains the typical typewriter alphabet forms, lending the font a hint of nostalgia. Genial! Vas a tardar hasta llegar al wurstel con curry! Que rico!